I was 14 when England won the World Cup for the first and, currently, the only time. It was a tournament and an England team that lifted the game in this country as Alf Ramsey’s team, as he prophesised, won it by beating the West Germans in the final. The names of the players involved roll off the tongue for those of us who were impressionable teenagers at the time and that means when one of them leaves us it becomes a very sad day. 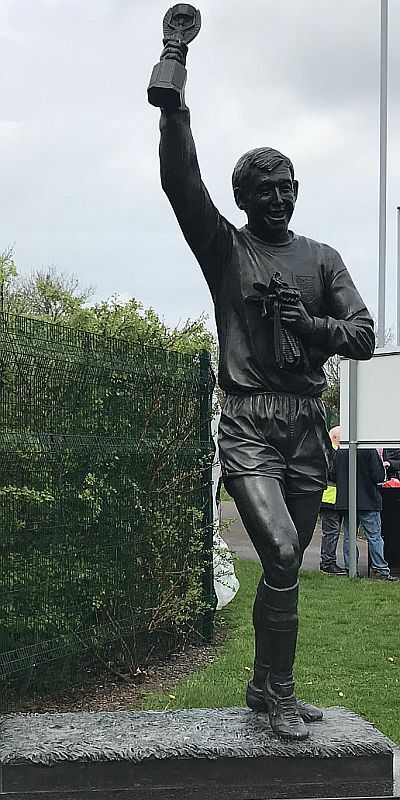 Prior to today, four of the squad who didn’t feature on the day have passed away, our own John Connelly, Ron Springett, Jimmy Armfield and Gerry Byrne, while from the triumphant team of the day, there were just three, namely Bobby Moore, Alan Ball and Ray Wilson. Today, sadly, they were joined by goalkeeper Gordon Banks who has died at the age of 81. Football almost stopped this morning as so many in the game wanted to pay tribute, from former team mates, from many clubs, and current players including some of the current Burnley goalkeepers. We currently have three England international goalkeepers at Burnley but I’m sure they’d all accept my belief that Banks was the finest England goalkeeper I’ve ever seen. Besides being a member of the team that lifted the Jules Rimet Trophy in 1966, he was in Mexico four years later and who knows how far we’d have gone had he not mysteriously been taken ill before the quarter-final against West Germany. That was, I’m sure, the best England team I ever saw which came ever so close to getting a result against Brazil at the group stage. We lost 1-0 to a Jairzinho goal but the game will always be remembered for Moore’s battle with Pele and, more so, for the Banks save that denied Pele a goal. Watching it again today, it is still hard to believe he got there let alone saved it. I met him just once, at a dinner at Turf Moor, around 17 years ago. He was one of the two guest speakers and I have to say his after dinner speaking didn’t quite match the quality of his goalkeeping although we were left in no doubt just how good a goalkeeper he was by fellow speaker Alan Ball who named him among the small number of world class players we could boast at the time. I saw him play on the Turf a few times, for both Leicester and Stoke, and it was his final appearance for Leicester that I’ll remember the most. He was beaten five times in a 5-2 win but goodness knows what the score would have been but for him. He saved countless others. He had a fantastic career which started at Chesterfield before continuing at Leicester and Stoke. He went on to win 73 caps for England and it could have been many more but for him losing an eye in a road accident in 1972 which effectively brought an end to his brilliant career. Pele, describing the save, went on to say: “For many people, their memory of Gordon Banks is defined by the save he made against me in 1970. I understand why. The save was one of the best I have ever seen, in real life and in all the thousands of games I have watched since. There was even a tweet from the German National Team & their Football Association. That shows the esteem in which he was held. What a sad day to see one of the greats leave us, and my thoughts are with his wife Ursula, his family and friends.